A collaborative effort by the Institute for the Study of Death and the Foundation of Thanatology, this book brings together the ideas and experience of a distinguished group of 23 scholars involved in the study of death, dying and other death-related subjects. These renowned contributors include anthropologists, psychologists, theologians, philosophers, sociologists, scholars of comparative religion, social workers, and parapsychologists. Their work reflects the views of many societies and cultures, including those of Islam, Africa, India, China, Japan, and the West. 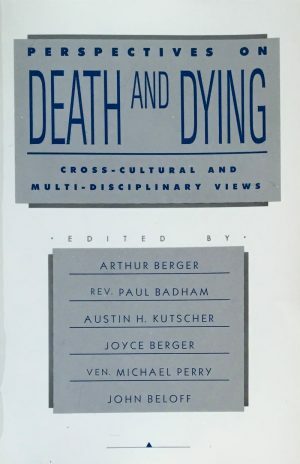 The diverse perspectives offered provide readers with an uniquely insightful understanding of death. Not only an excellent source of information on how different religions and cultures view death, dying and afterlife, this book offers readers information that may help them develop a sustaining personal framework for coping with and understanding dying, death and what happens afterward.